KATHMANDU, May 14: After three years of the devastating earthquake that shattered the country, Nepal started reconstruction of the quake-damaged historical temple Kasthamandap from Monday. 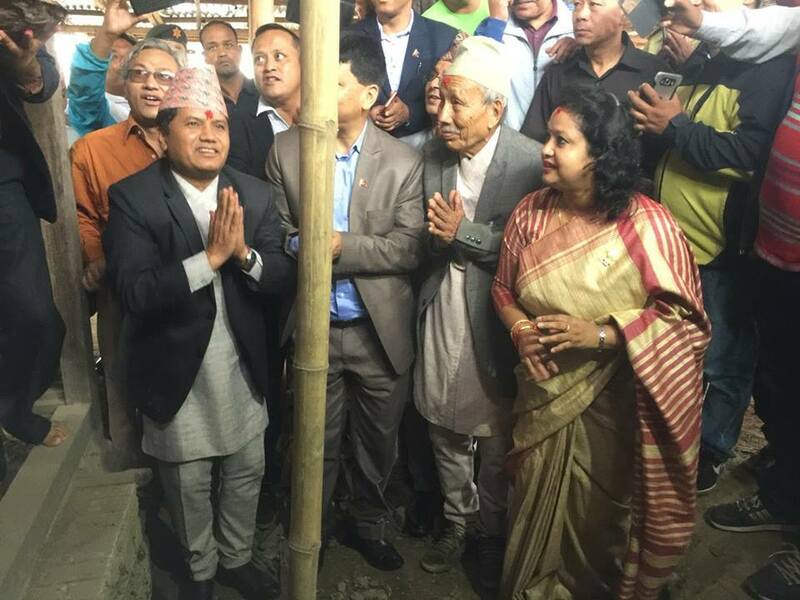 Nepali Minister for Culture, Tourism and Civil Aviation Rabindra Adhikari laid the foundation stone to rebuild the temple located within Kathmandu Durbar Square in the center of capital city. "Rebuilding of Kasthamandap which carries the name and history of Kathmandu has begun from today. The temple will be constructed with the participation of general public and will be ready by next three years," minister Adhikari said in the event. Reconstruction of this ancient three-storey pagoda styled temple is being undertaken by Kathmandu Metropolitan City. Kasthamandap temple is the seventh century heritage of the country, which is also known as the oldest temple built during Lichhavi period. It was built from the timber of a single tree. It is believed that the name of capital Kathmandu has been derived from the same word Kasthamandap. The structure had collapsed during the earthquake of 2015 killing nearly a dozen, who were gathered in the temple premise. Though reconstruction of the temple had begun after the disaster, it was put off immediately followed by protests from local public, conservationists and cultural experts. The temple was being reconstructed using steel and concrete while the locals demanded originality. According to the Department of Archaeology, 753 temples and heritage monuments were damaged in the 2015 earthquakes across the country.